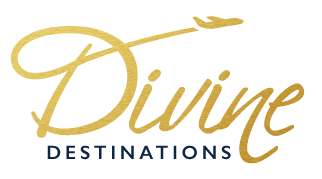 Divine Destinations works with busy professionals who work hard and deserve to play harder! Whether you are looking to set up an incentive program for your sales staff or key employees or are ready to have a professional take care of your corporate travel needs we are here to help! We will organize the details, ensure the travel plans seamless, score extra amenities you can’t get on your own (or even know are available to you!) and even have a point person in the destination to make sure your every need is met and questions are answered. When traveling with Divine Destinations, you never really are ever alone as we are with you every step of the way; personally and virtually! Incentive programs are a good way to reward, recognize and motivate your best employees. But can incentive travel really better your business’s ROI too? Well, yes. In fact, research in the US shows that 100% of best-in-class companies ­– those with the highest customer retention and sales growth – are reported to offer group travel to recognize year-end sales success. Put simply, employees working towards a target to receive a big incentive travel reward, like a big holiday with their team overseas, can be harder working employees who are more likely to make more sales and hit more targets as a result. Small businesses that use a travel advisor for their corporate travel needs find they save money, reduce errors and can rest knowing all the details are taken care for their trip. Ensuring loyalty numbers are utilized and amenities are included along with protecting your monetary investment with insurance makes it a win-win. Employees travel needs are met efficiently and the overall cost per transaction is lower vs having an intern, secretary or even the employee themselves do the booking online and submit expense reports. Are you always planning the backyard cookout or themed cocktail party? Do you organize everything to a T and love it? Did you know you can travel for free on your next vacation when you travel with your tribe? Whether you are looking to set up a family reunion or simply want to travel with your besties we can help you get there and look like a rock star! We will organize the details, ensure the travel plans seamless, score extra amenities you can’t get on your own (or even know are available to you!) and even have a point person in the destination to make sure your every need is met and questions are answered. When traveling with Divine Destinations, you never really are ever alone as we are with you every step of the way; personally and virtually! Copyright 2019 by Divine Destinations.